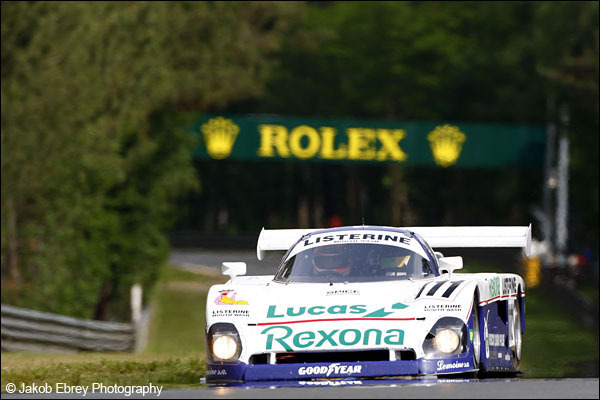 Group C2, The Biggest Bargain In Motorsport? 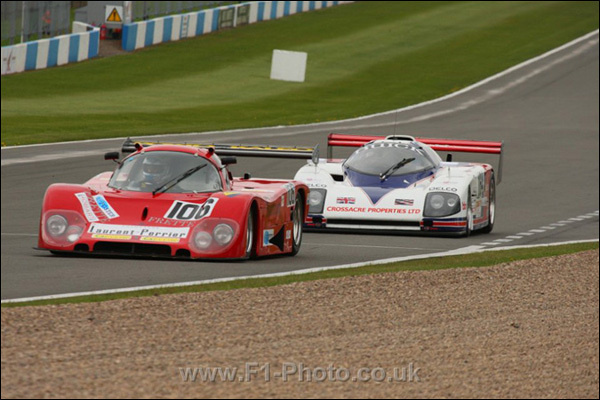 When one thinks of Group C, the glory days of international sportscar racing in many people’s minds, one thinks of Jaguar, Mercedes, Nissan, Toyota, Mazda, Peugeot and, of course, Porsche. These were the massively funded factory cars that fought it out for overall honours in Group C1 at Le Mans and for the World Sportscar Championship (in its several guises) between 1983 and 1992. Behind them, though, came a group of cars, mostly privateers, who were battling for trophies in the second-tier, Group C2. Regarded by some as little more than grid-fillers, these were nevertheless proper racing cars and the teams who campaigned them, with budgets a fraction of those of the big guns, deserve their place in the history books. 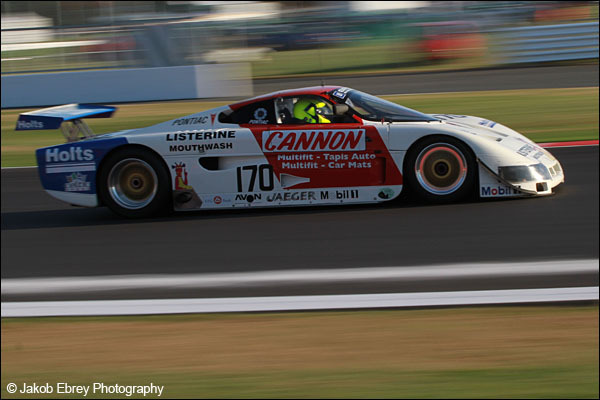 Two decades have elapsed since the demise of the category, but many of these machines race on around the world, mainly in the Group C Racing series that visits circuits across Europe. Nowadays, the cars are owned and raced by enthusiasts, and while a top-line C1 can still change hands for eye-watering sums, a well-sorted C2 can be picked up for considerably less. But why would you want to invest in a car from the junior category? We asked three individuals intimately connected to the category and it turns out that there are some compelling reasons for ownership. Anyone who knows anything about Group C will know the Spice name, it being synonymous with the cars that dominated the C2 era, with four Teams titles and five Drivers trophies, four of which belonged to the man who started the company and built the cars. 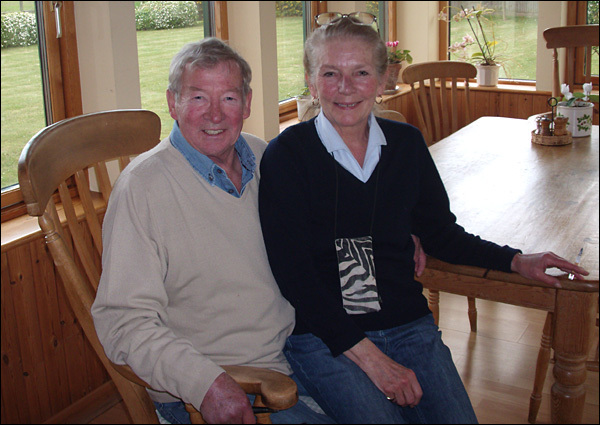 We spoke over lunch at his home in the shadow of Windsor Castle, with Gordon and his wife Mandy – herself a key part of the team – proving to be delightful company. 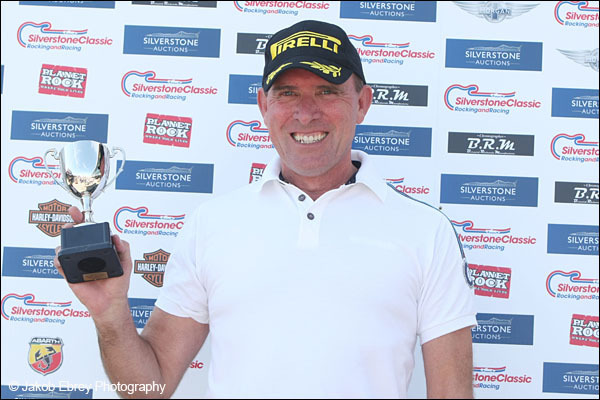 How did you manage to combine a demanding business career with being essentially a professional racing driver? MS: “In January each year we’d go through the diary and put the race dates in, then negotiate the social events with friends – we used to go to a lot of dinner parties back then – and we’d be booked up, in January, for the whole year! We’d be racing in Japan, say, one weekend, so we’d fly out on Thursday night and get there Friday….and would then fly back on the Sunday night straight after the race and land back home on Monday…and we’d then be flying back out to Riverside the following weekend. How big was the C2 market in total? GS: “We didn’t sell that many cars over here – probably averagely six per year. Hugh Chamberlain was by far our most loyal customer. 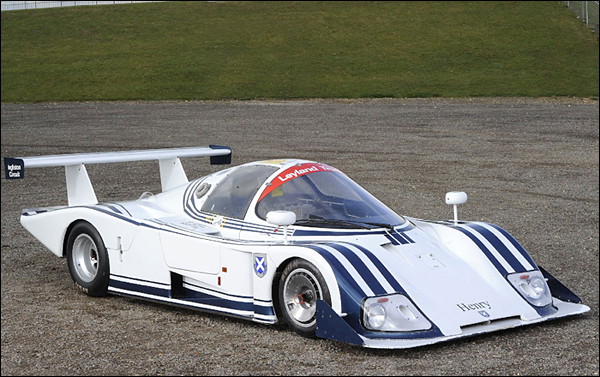 But certainly Group C2 was very much more affordable than C1. When we tried to mix it with the big boys and moved into C1 – the way the regulations changed should have played right into our hands – but the cost of running the 3.5 litre DFR was three or four times more expensive than running a DFL. The reason being that the DFR produced a huge vibration that shook the electrics and suspension etc. and all the components had to be that much more bullet proof. So we suffered in reliability problems like you wouldn’t believe with the DFR, while the Spice/DFL package was a sound one. So had you had the opportunity to form a breakaway series, as you had intended, what direction would you have taken? 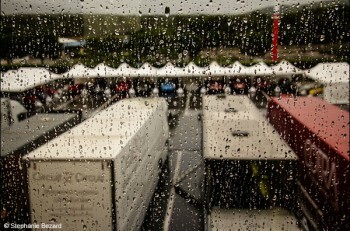 GS: “Just anywhere away from the FIA, who were only interested in making F1 bigger and more commercially successful. We could all see that very clearly and it wasn’t long before new regs made Group C unaffordable. Who did you consider to be your main competition in C2? GS: “In period, it was Ecurie Ecosse. A very well-run team, by Ray Mallock, and very nicely-prepared cars – another Graham Humphreys design, of course. They had a very slippery shape, with a small frontal area; not much ground-effect, but very fuel efficient. How many Spices are still out there? Was that because of the different regulations in IMSA? What would a Spice have cost back in the day? GS: “A lot less than you might imagine – I think it was around £150,000 without engine. That got you a rolling chassis and gearbox. So by the time you’d got a couple of Cosworths and a spares package, you’d be looking at £225-235,000. We were very competitive on price, otherwise we wouldn’t have sold so many as there were plenty of other cars available. Are you surprised to see so many cars still running? What’s the situation as regards parts for the cars nowadays? GS: “Well, there are more Spices than any other C2 running, and there are people making parts. If there are three or four potential customers then it’s worthwhile for people to make parts – if there’s only one example of a particular car running then everything you make will be a one-off and it will be expensive. People like Robin Ward will have all the original tooling and jigs and while parts are never going to be cheap, they aren’t Porsche prices, put it that way. “Graham Humphreys was a very clever designer and the cars are very user-friendly to maintain; that was one of his briefs – to make it so that you could easily and quickly repair damage and there are plenty of bucks still around for the nosecones and bodywork and so on. So, from an affordability point of view, a Spice is probably one of the cheapest of the Group C cars to run, purely because of the volume. We were always roughly half the price of Porsche spares for the 956 and that left plenty of margin in to. In terms of provenance, then, do you have any tips for potential buyers? 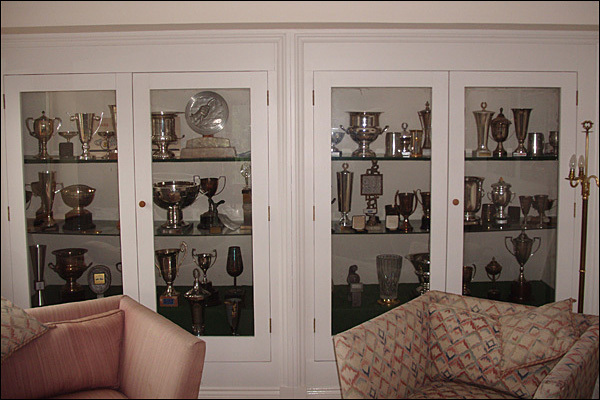 GS: “Well, I have been known to sell a car along with some of the trophies associated with that car as I believe that helps with the provenance. “But the important thing is to race them, and I always found them to be such easy and comfortable cars to drive – you could drive them for hours on end. You had to be reasonably fit, of course, but a few races would knock you into shape. Put it this way, if you weren’t fit you’d have such a sore neck after the first race that you’d make bloody sure you were fit for the next one! 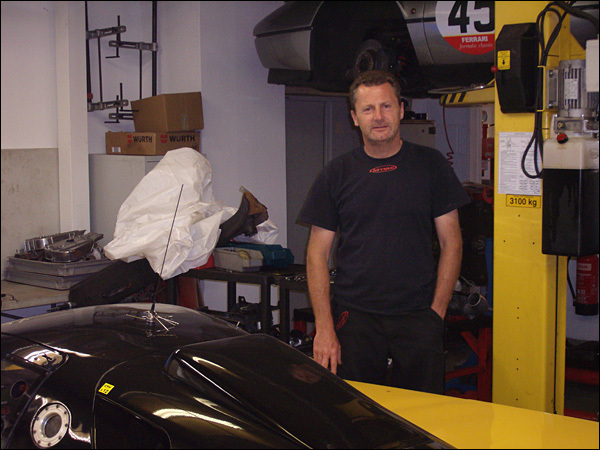 Having been part of the team building and racing Spice sports cars back in the day, few people know their way round an SE88 like Robin Ward, owner of Damax Ltd, and he is still very much hands on, preparing – and occasionally racing – Spices and other marques from his workshop in Brackley. With such a wealth of experience to hand, he was the obvious choice for a chat on the practicalities of ownership. What does the average car owner expect from owning a C2 nowadays? “For most of them it’s mainly about driving the cars. They love the cars and it’s an opportunity to drive them at pace and have a bit of a dice with someone running at their own pace – they don’t have to be running up front – and they can do 200mph at Paul Ricard. They were the last of the big unrestricted sportscars and they’re quick. “What you need is to remember is that it was fuel formula back then – the cars basically had to be more fuel efficient and therefore were slower than they are nowadays. There’s no fuel restriction in modern Group C racing and most of them have more powerful engines; they are the original engines but where a Spice-Cosworth was a 3.3ltr DFL limited to 9,200 RPM, nowadays we run them to 10-10,500 RM. That basically is the equivalent of 50 BHP – 460-480 back in the day against 520 today. What’s your history with Spice Engineering? 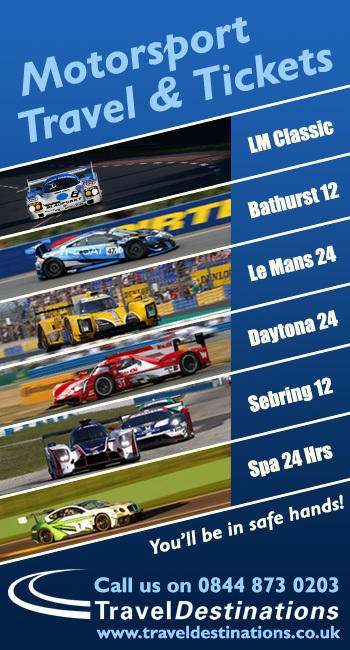 Which of the other C2s that you had to race against were the best, in your opinion? So was C2 a case of ‘unfulfilled potential’ ? Was it just compromise all the time? How did the Stateside cars fare? There was no fuel formula in IMSA. “There wasn’t, but they had to run with stock-block engines so they probably weren’t as quick. Nobody did a comparison, obviously, but they wouldn’t have been as quick as they were three litre stock-block engines; so the Ferrari probably had 400 BHP, the Pontiac 350, the 3ltr Buick probably 420 – the two-valve engines were given a dispensation to go to 3.4ltr, which took them to around 450 brake. How many Spices were built in total and how many are still out there somewhere, do you think? “I think it was 52 we built in the end and most of them are still around. there’s probably more of them in America than there are over here, but they’re tucked away all over the place. The ones that aren’t being raced are either owned by collectors or by people who think they cost a fortune to run; and, to be honest, once the cars are ‘right’, they don’t! There is perhaps a perception that, because they are older cars, they’re fragile. Let’s talk money then – what kind of budget would you be looking at for a fully-competitive season in a C2 Spice? And how much would the car cost? “A Cosworth Spice is getting on for £200k – they don’t become available too often, but when they are advertised it’s normally in the £180-200k range. That’s ready to go. “They’re not going down in value. They went up a lot a few years ago – about five years ago you could have possibly got one for around a £100k, but you’d have needed another £30-40k to get it running – but nowadays you won’t see a Cosworth advertised for less than £180k. How much would you need to be reasonably competitive; to finish the races? “If you do the transport yourself and look after the car, you could probably do it for forty grand – you’ve got entry fees; tyres, a new set’s around a thousand quid; £300 for fuel; van, trailer, transport; a couple of mechanics – which isn’t bad for a European series. Okay, there aren’t many meetings, but they’re proper, well-organised meetings at decent circuits. We’re 25 years down the line from C2, so what’s the situation as regards parts and spares for these cars? Would this affect the car’s provenance? “Not really – things like brakes, brake-discs, wishbones, calipers are considered ‘wearable parts’ . We can usually rebuild calipers, so that they’re the same shape. But as long as the chassis, bodywork and the big bits are original, then everyone’s happy. And even if you replace parts, you don’t have to throw the old ones away – you can always put the original wishbones back on if a car’s going into a museum, say. 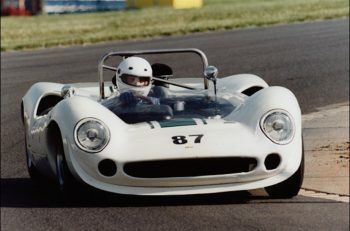 So C2 cars are cheap to buy and run, and quicker than they used to be. What are the physical demands of driving them? “They don’t have the biggest cockpits in the world, so a bigger-than-average guy may find it a bit of a squeeze – the Gebhardt’s quite roomy and the Spice isn’t too bad – and they don’t have power steering, so the steering’s quite heavy. There’s a fair bit of G-Force, as they are quite quick round the corners, so you need to be reasonably fit – neck muscles, shoulder muscles – and you have to able to change gear as there’s no paddle-shift. I find it a challenge to drive and you have to drive them properly – manual gearbox, no ABS, no power-steering, and they’re very quick. An ’88 C2 Spice will go round Donington in one minute, which is quicker than an ’85 Williams F1 – they’re not slow cars, but they’re great fun; the ultimate sportscar, really, and relatively affordable. I can afford one! Is it important to race the car for it to maintain its value? “If the car’s out there racing, a potential buyer can see how it performs and how reliable it is. If a car’s been tucked away for 10, 20 years, you’re going to need to spend a lot of money on it to recommission it. How strict is the scrutineering process in Group C? “They’re very strict in the area of safety. 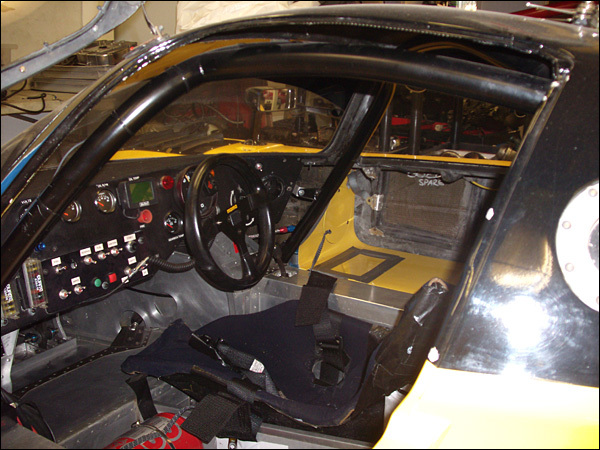 Things like seatbelts and fire-extinguishers have to be within date, but seats don’t need to be FIA-spec – it can be the one that was made for the car – so there’s no cost there. “The Group C club ask for the suspension and drivetrain to be crack-tested every year, but that’s part of the maintenance programme. That’s a few hundred quid, but these cars are quick and you want them to be safe. “Ongoing maintenance can be as cheap as you like if you do it all yourself. I’d recommend that you put your car with a professional team as I’ve seen so many people trying to run their own cars and not doing a very good job – they spend a load of money and then get frustrated when they don’t finish races. if you put it with a team that knows their way round it, it’s relatively straightforward. “They aren’t very complicated cars – they’re 30 years old and made by people in workshops – but they’re higher maintenance than a GT3 Porsche, for example. But they’re cheaper to buy, they don’t go down in value, and they’re much more fun to drive; and you don’t need to buy homologated parts – you can just go to a local race fabricator and have them made. If proof were needed that a lot of fun can be had in a C2 Spice, Mike Donovan is the man to talk to. He claimed his second successive Eau Rouge Cup in 2013 for the most points in the C2 category in the Group C Racing series in his spice SE88, and can usually be found mixing it with the top two or three overall. 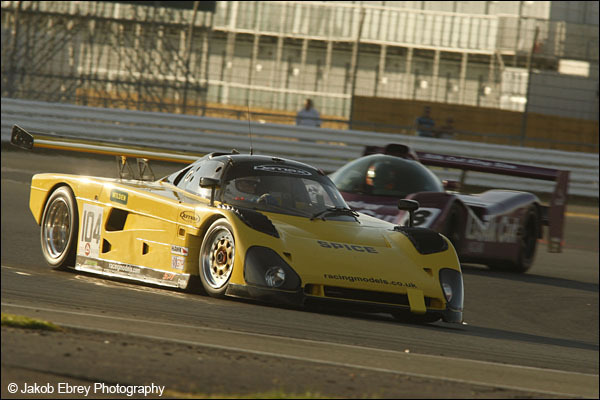 We caught up at the Silverstone Classic to find out what it is like to own a C2. What brought you into this category of racing, and C2 in particular? “I’d been racing a Porsche 997 GT3 Cup in recent times, but when it came time to look for a replacement I had to ask myself ‘full GT3 or Group C?’ Both had their attractions, but it soon became obvious to me that the C2 Spice was by far the better deal. “A C2 car is not only significantly cheaper to buy than a GT3, but also if you buy a good car and look after it then you can probably break even. I.e. it will probably be worth as much at the end of the year as at the start and you’ll only have paid for the actual racing you’ve done – entry fees, fuel, tyres, logistics, spares, etc. With a GT3, you’ll have all those, but also a car that has depreciated significantly since you bought it. “And a C2 is quicker than a GT3. Around the Silverstone GP circuit, for example, we’re doing mid to high 1:58s – that’s at least three seconds quicker than a GT3 for half the budget. “As for where we race them, we go to some fantastic circuits – we raced at the Nürburgring in June and then I was able to watch the GP a couple of weeks later thinking, ‘I’ve raced there!’ We race at Spa, Barcelona, Le Mans – what could be better? How does the cost of Group C compare to other Historic series? “Well, I think the Historic F1 guys are missing a trick. 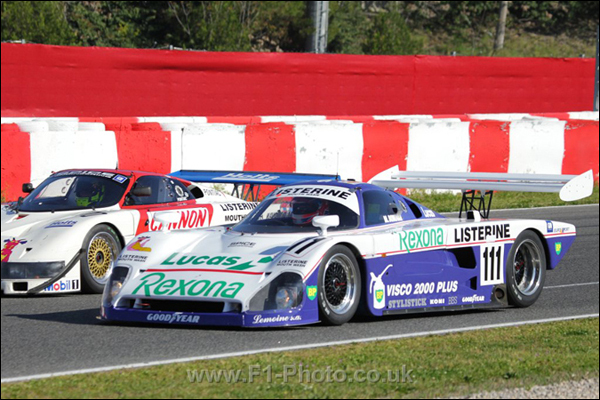 Group C is much better value than F1, and while the organisers do a good job, the races are short and there are too many classes; and in terms of relative pace, C2 pole at Barcelona this year was the equivalent of seventh (of 24) on the F1 grid. So there you have it. Should you be in the market for a new racing car quicker than GT3 and as memorable as an historic F1, it turns out that there’s a C2 to meet a variety of aims and budgets, be it competitive or fun, Spice, Argo, Tiga, ADA or whoever. And with a huge amount of sensible advice on hand, your racing needn’t be more expensive than it should be.